Rafaello & Co. were the Jewelers to set the trend with black diamond jewelry so you know your getting the best of the best. 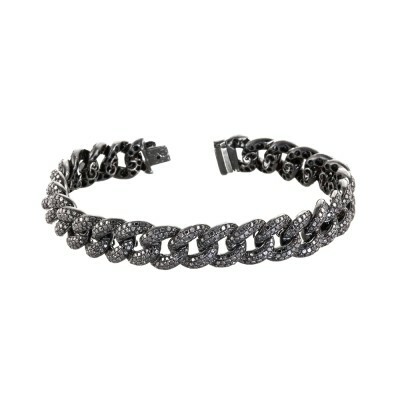 This all black Miami Cuban Link bracelet is sure to make a statement. This bracelet has the classic design of a miami cuban link but its own unique twist with all black gold and diamonds that will surely make you stand out. The bracelet weighs approximately 32.2 Grams. 8.6 Carats of AAA clarity diamonds are set in 10K black gold.